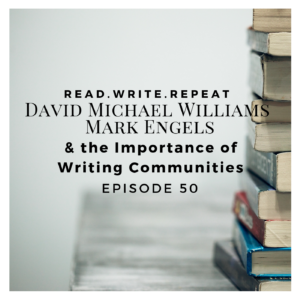 A guest episode in which Kelsey chats with two wonderful guest authors, Mark Engels and David Michael Williams. Mark writes genre fiction featuring anthropomorphic heroes and David writes speculative fiction. Come along as we discuss fanged muses and the things we give up to write. We chat about the importance of a creative outlet. David talks about being a progress junky and the excitement surrounding putting a piece of yourself out into the world. We revel in writing and sports metaphors. 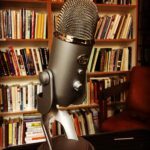 We discuss the power of finding the right writing community and share a few cautionary critique tales. September’s giveaway is Kelsey’s favorite recent read, Her Body and Other Parties, by Carmen Maria Machado. Find out how to enter at the end of the show notes. How do you connect with writing and reading communities? Allied Authors of Wisconsin website. Mark J. Engels author website. David Michael Williams author website. Let’s start by chatting about how you both got into writing. Why do you each write; what niche or role does it fill in your life? Why were you guys drawn to write in the genres you chose? So one big reason we asked both of you here together is to chat about writing community. 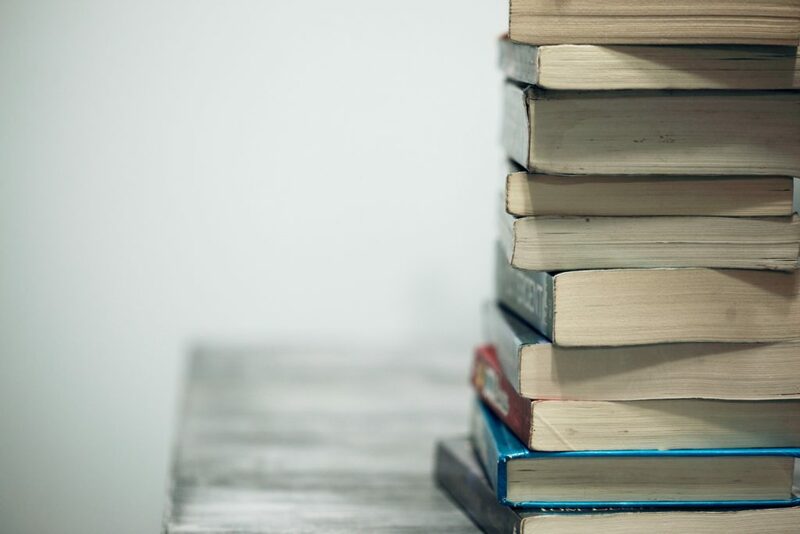 You are both members of the Allied Authors of Wisconsin and we are eager to learn more about how having a writing community has impacted you both. Mark, in an interview I did with you on Tibetan Lemonade, you talked about holding feedback against your authorial intent. I think that is fantastic advice and would love for you to chat a bit more about that. Kelsey’s interview with Mark on Tibetan Lemonade: On Fandoms and Storytelling. Mark, what’s next for you, project-wise? David, you have a new book, If Sin Dwells Deep, coming out on Oct. 2. Can you tell us a bit more about it? I did a sneak peek of a novel for you earlier this year, If Souls Can Sleep. Is it related to that novel? That brings us to the end of yet another read.write.repeat episode! We have to give a big shout out to this month’s guests, Kac Young, Mark Engels and David Michael Williams, and always, a huge thanks to Mike Fraedrich for our intro music. You can find links to all of these lovely people in our show notes. September’s giveaway is Kelsey’s favorite recent read, Her Body and Other Parties, by Carmen Maria Machado. To enter, simply follow us and tag us in a bookish photo or comment on Instagram (@readwriterepeat_podcast), Twitter (@therwrpodcast), or Facebook (@readwriterepeatpod), or leave us a comment on our show notes or one of our posts on any of our social media platforms! A winner will be drawn at random in October. Thank you, Kelsey, for having me and my pal David. We had a fine time! And we appreciate the opportunity to introduce ourselves and our work to a wider audience. Great interview! I was curious with AAW how many pages each writer submits per meeting. I looked into joining a group in Los Angeles that met weekly and allowed up to ten pages. For something novel length that just didn’t seem like much to share each week, but obviously time was an issue. Do you only share pages that you are struggling with?